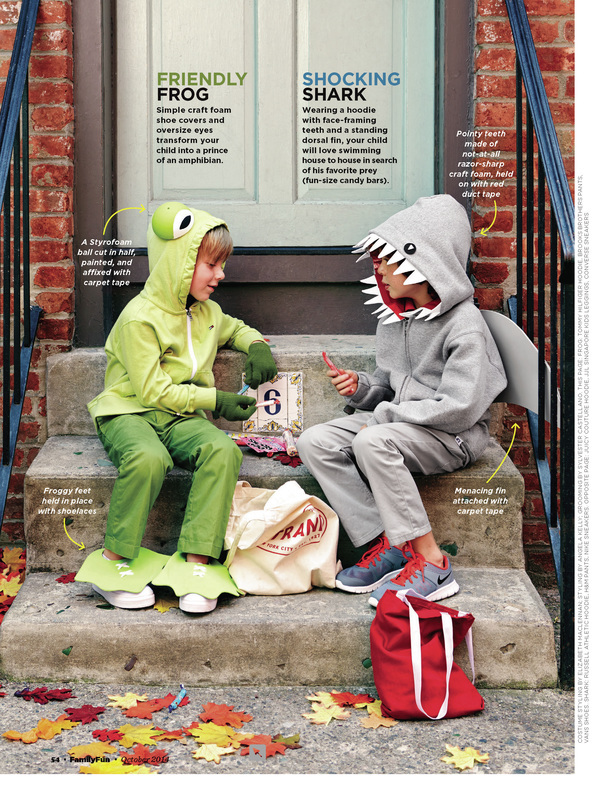 Busy parents want projects that are inexpensive, easy, and fun. 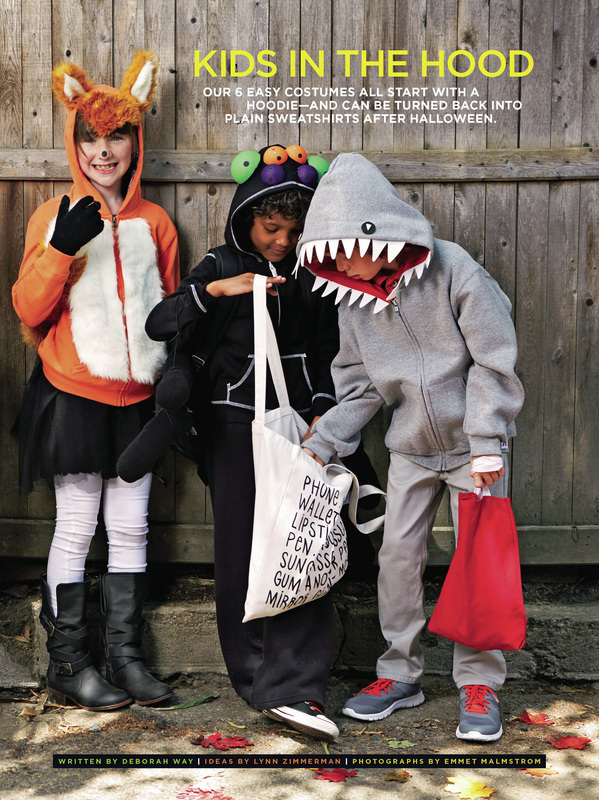 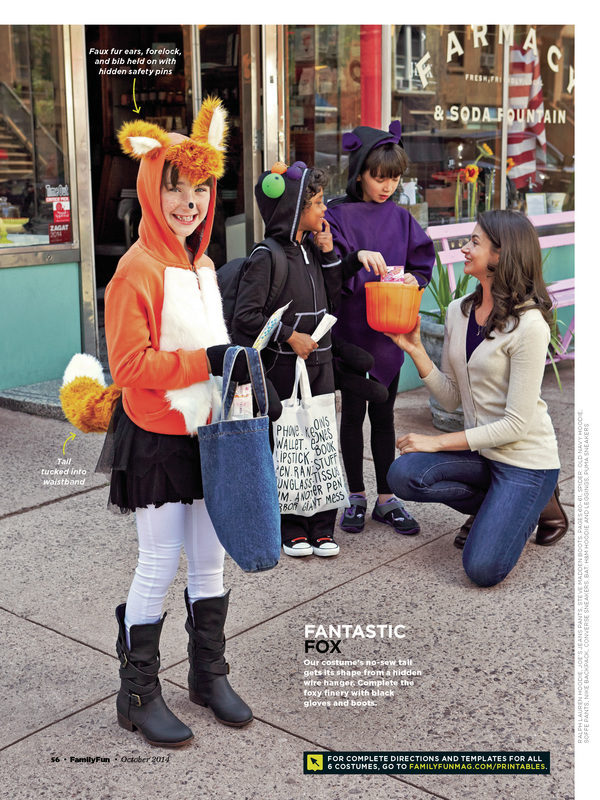 For the October 2014 issue, I worked with a craft developer to create simple costumes with hooded sweatshirts as their bases. 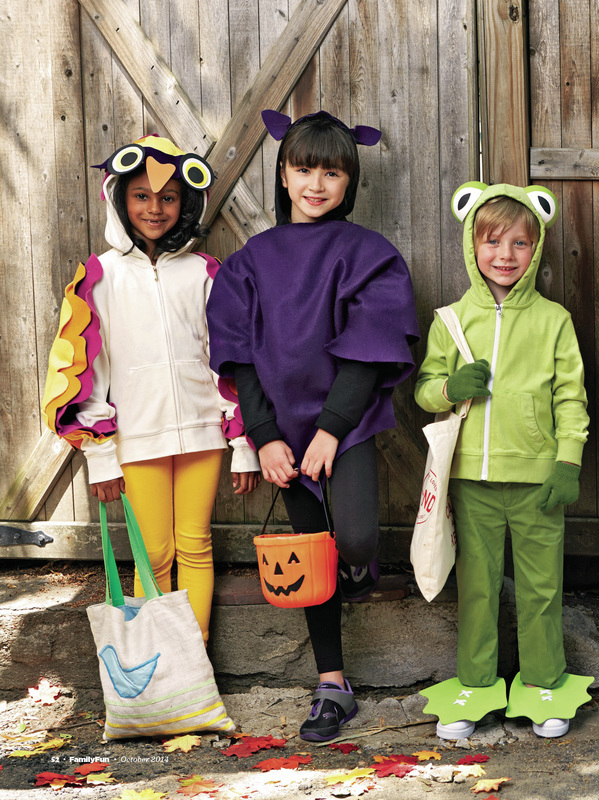 All of the additions are removable, so the hoodie can be added back to the child's regular wardrobe after Halloween is over.